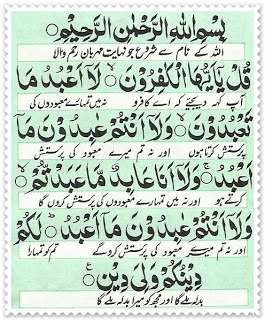 Surah Kafirun is a Makki Surah and has six verses. 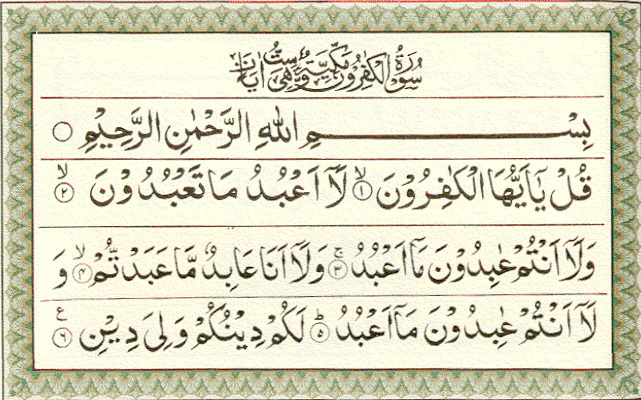 Reciting this Surah carries much blessings and reward of reciting a quarter of the Holy Quran. The recitation of this Surah keeps the reciter away from the Shirk and also drives away the evil from you. It is also known as Al Kafiroon the word Kafirun is an Arabic Word which means “The Disbelievers”. The surah addresses the non-believers in very harsh tone while giving a lesson of taking them hard and disassociation from them. This Surah is also among those Surah’s​ that are recommended to recite during the journey. Allah also forgives the sins of the person, who recites it and blesses him with countless blessings. The tone of the verses of Surah al Kafirun is very harsh and strong which also indicates that no compromise will exist in future between Muslims and Kafirs. 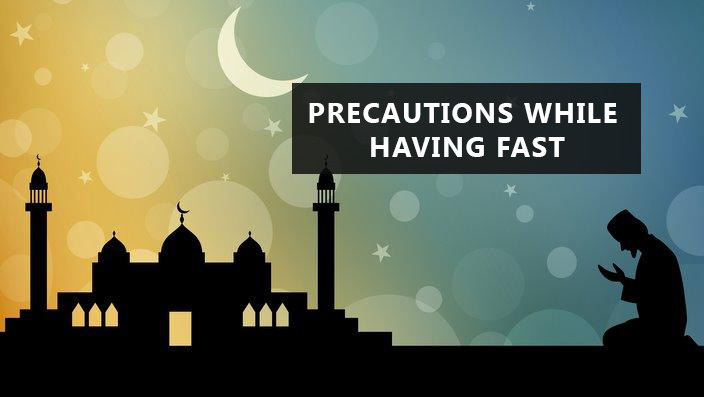 It is narrated that Abdullah bin Umar (may Allah be pleased with him) has related that on many an occasion he heard the Holy Prophet reciting Surahs Qul Ya- ayyuhal- kafirun and Qul Huwu-Allahu ahad in the two rakahs before the Fajr obligatory Prayer and in the two rakahs after the Maghrib obligatory Prayer. And if a reciter dies after reciting this Afzal Surah al Kafirun, then he will be counted in the Martyrs. Also the Surah Kafirun Wazifa has much importance and provides you relief if recited daily. Here mentioned Surah Kafirun has a lot of virtues and benefits. If recited on a treasure, it will always remain safe. If a person has many creditors, recitation of this Surah will help clear his all the debts. If recited by a person in fear, this Surah brings him to safety and relief; if recited by a hungry person, it helps in his finding food; if recited by a thirsty person, his thirst will be quenched. The verses of the Surah show that at the time of its revelation, Muslims were in a very minority (less quantity) and disbelievers were in the majority, of whom the Holy Prophet (P.B.H.U) was under pressure. They urged him to interact with them, but, he refused all of them and while not having any conflict with them, created them utterly hopeless. 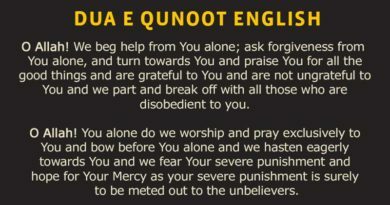 This is a perfect & honest example for all Muslims that under no conditions and agreements should they interact with the enemies of Islam against the idea of the faith and against religion; and if it happens that disbelievers raise them to follow such suggestions, they ought to create them whole hopeless, again and again. Recite Surah Kafirun 11 times after Namaz Fajr or Isha, it will result in the end of jealousy from your heart and increase the love for others in your heart. Recite Surah Kafirun 11 times to stay away from lying. Recite Surah Kafirun daily, Allah Almighty will forgive all your sins. “when you lie down in bed to sleep, recite Qul ya-ayyuhal kafirun, and this was the Holy Prophet’s own practice also; when he lay down to sleep, he recited this Surah.” (Bazzar, Tabarani, Ibn Marduyah). Hence, learn this Surah Kafirun by heart and recite it on the daily basis to stay away from Shirk and lying. Just not only memorize it, but also try to understand its meaning and importance. This Surah Kafirun is very important and has many benefits, whoever will recite it Allah will wash away his/her all sins and bless him with the countless blessings.